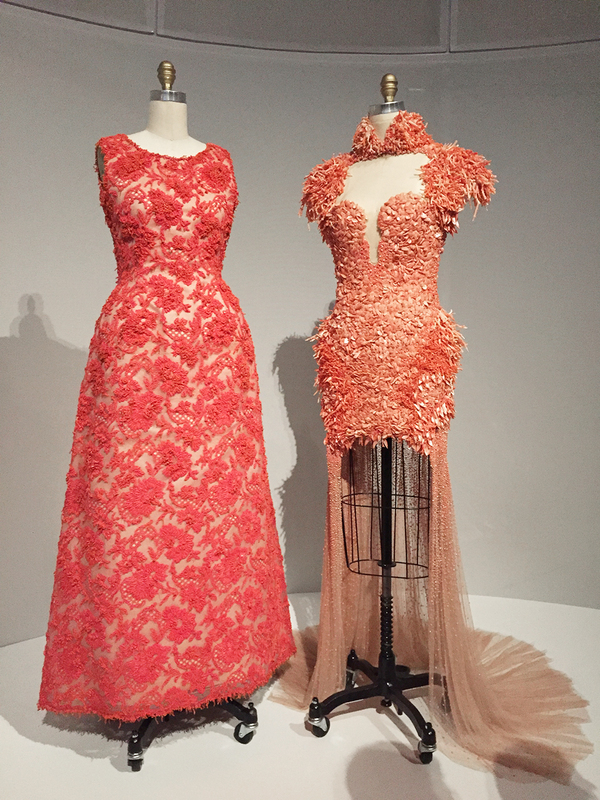 Just two of the many gorgeous pieces in the exhibition. Not too long ago, I wrote about how I would never be a fashion blogger. It still stands true today, of course, because I strongly believe that fashion should be for everyone and not just a selected few (so until that time comes, I suppose I’m better off sticking to beauty). 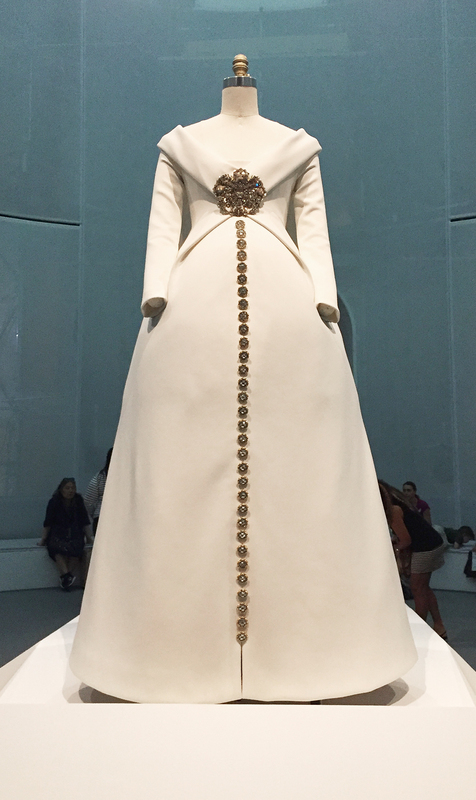 That the Manus X Machina exhibition at the MET when I visited New York in August this year was open for everyone bears testimony to it. 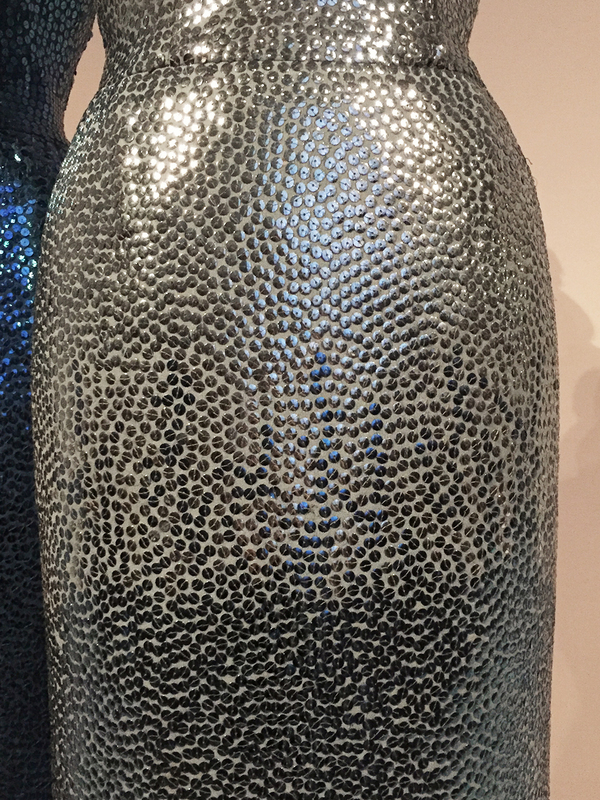 And it was such a beautiful experience for me to be able to see up close all the gorgeous pieces that were on display, and to appreciate the work, effort and design that went into making each and every one of them. It was also very humbling to be in the presence of pieces that were way older than me – think 1920s. 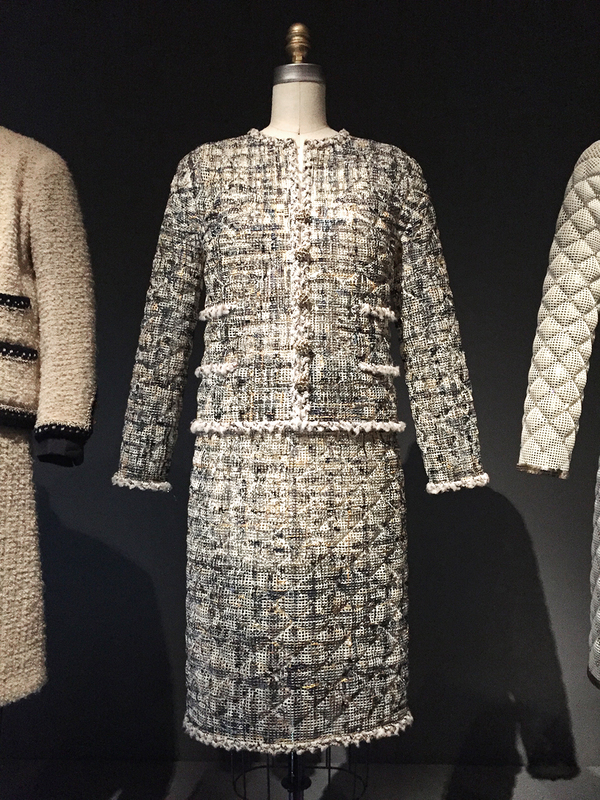 Some of the brands exhibited belonged to Chanel, Dior, Yves Saint Laurent, Bou‎é Soeurs, Alexander McQueen, Louis Vuitton, Prada and more. I took photos of some of my favourite pieces and thought I’d share them here on the blog. Be prepared to be wowed! 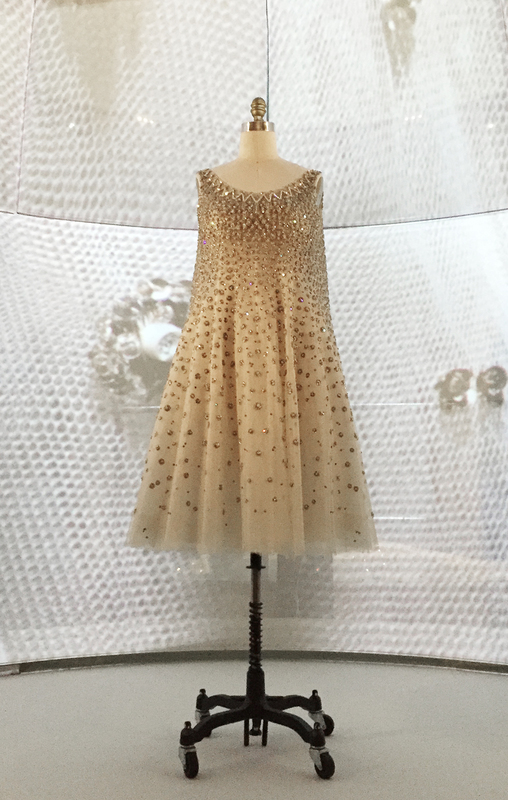 The Junon Dress by Dior, FW 1949. 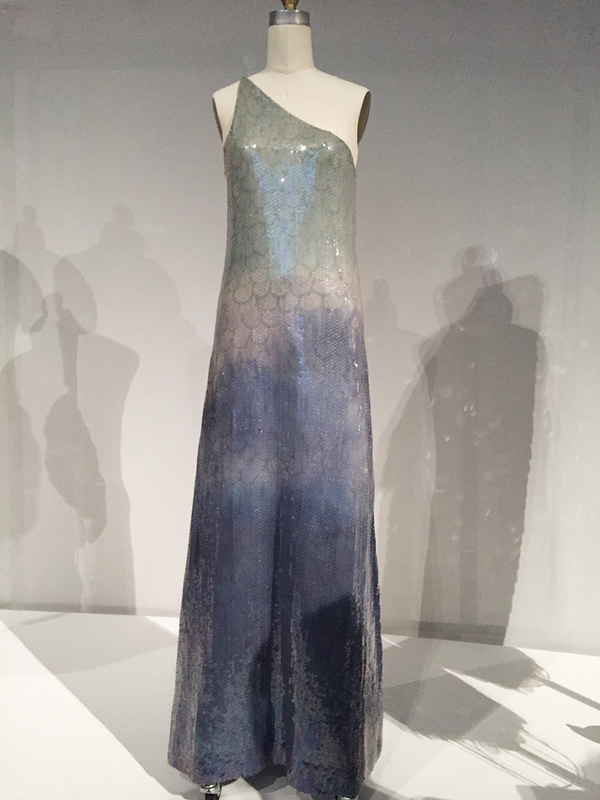 The Venus Dress is behind it. 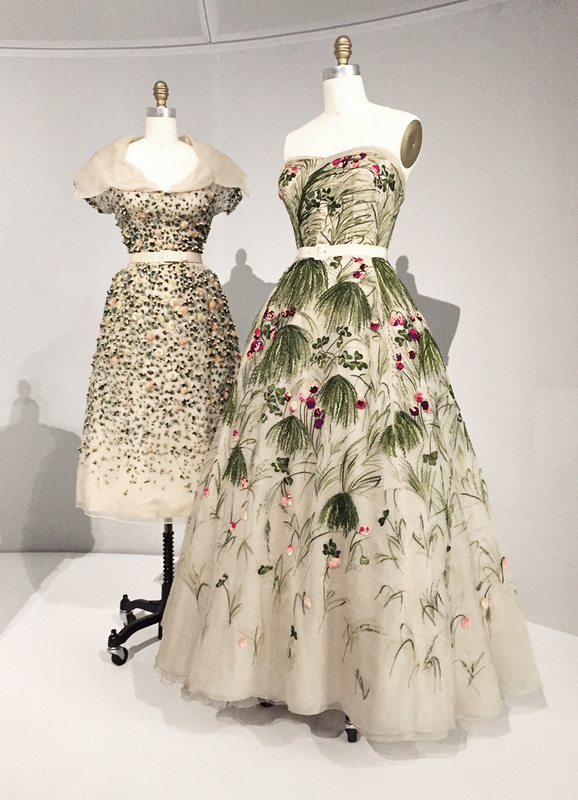 These are two of the most iconic dresses from Dior. Just look at that detail. Dior did ombre before it was cool. 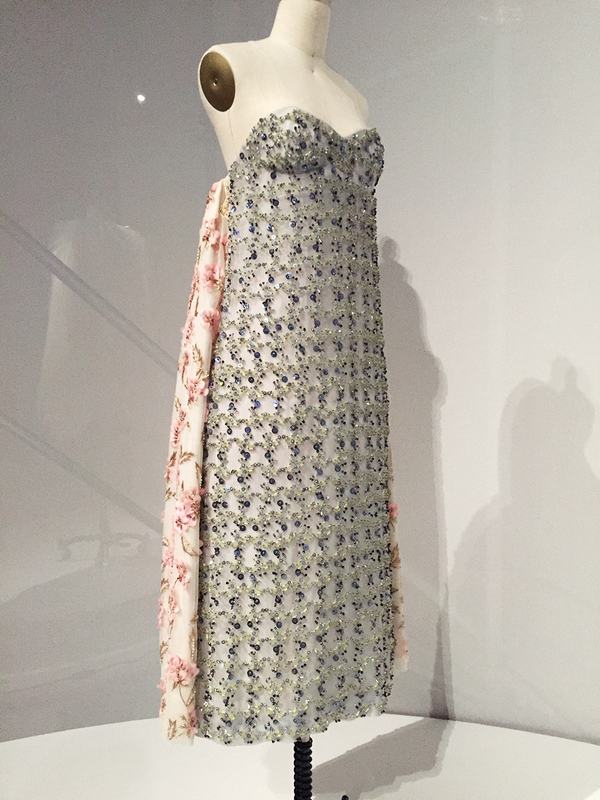 L’Elephant Blanc Evening Dress by Yves Saint Laurent for House of Dior, SS 1958 haute couture. To have anyone read that and not be awed would be very surprising to me. 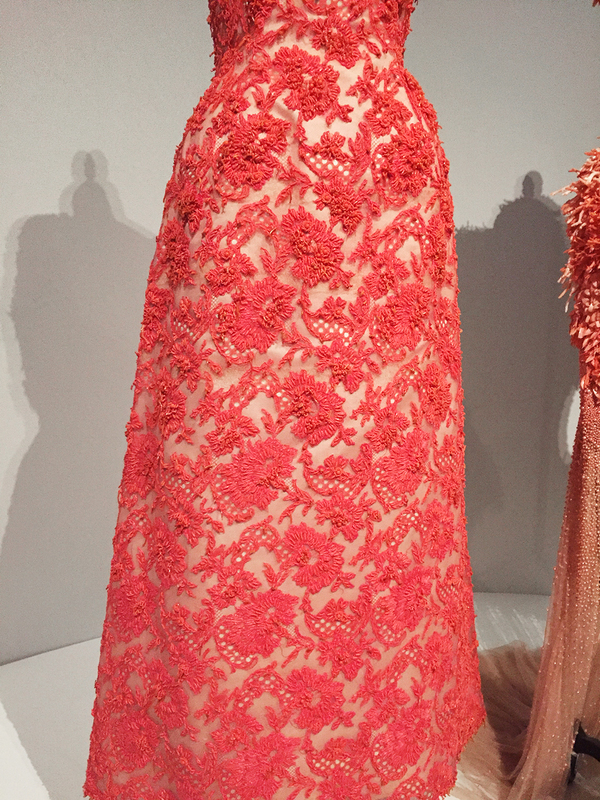 Coral dresses with intricate beading from Givenchy, 1963 haute couture. A close up of the craftsmanship. 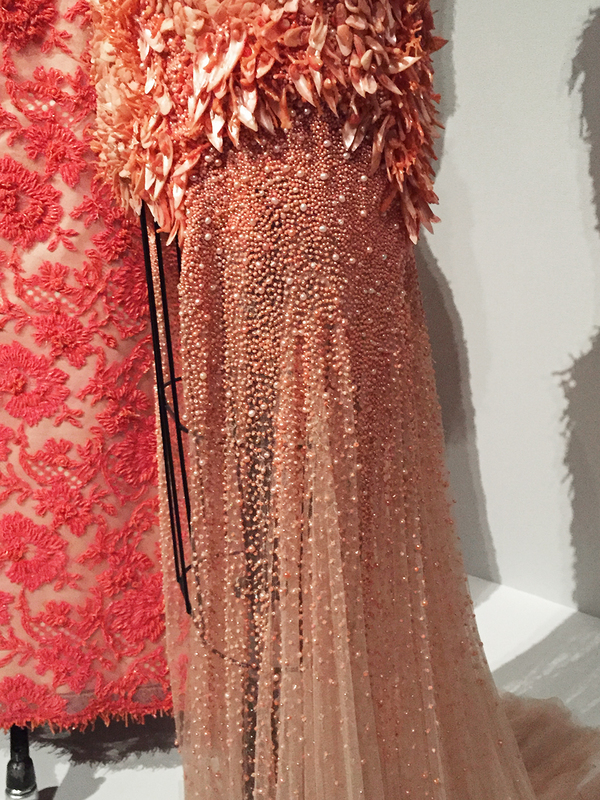 A close up of the sequins. Don’t worry, I didn’t touch any of the pieces on display – as did all the other people who came to visit. How about you dress like a mermaid for a day? 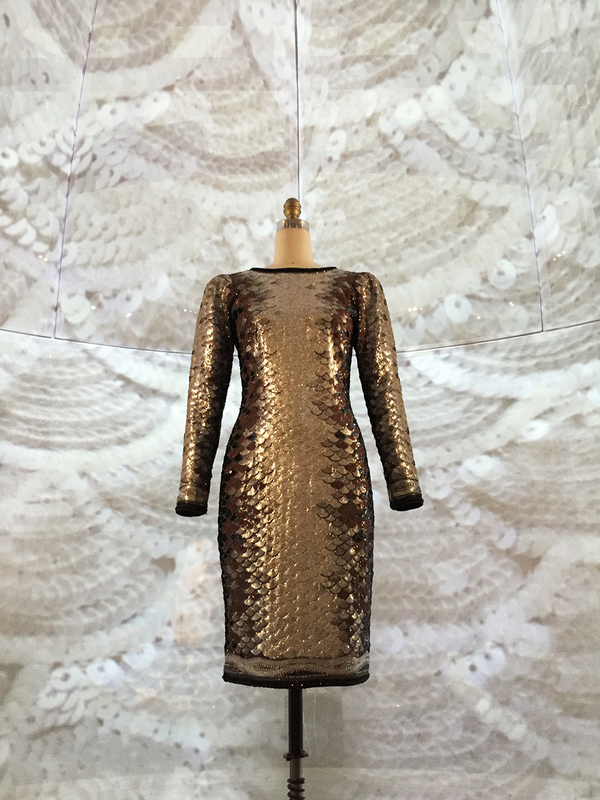 The Sardine Dress by Saint Laurent in collaboration with Maison Lesage, part of the 1983 Gilda collection. Fashion, already stealing my heart even before I was born. 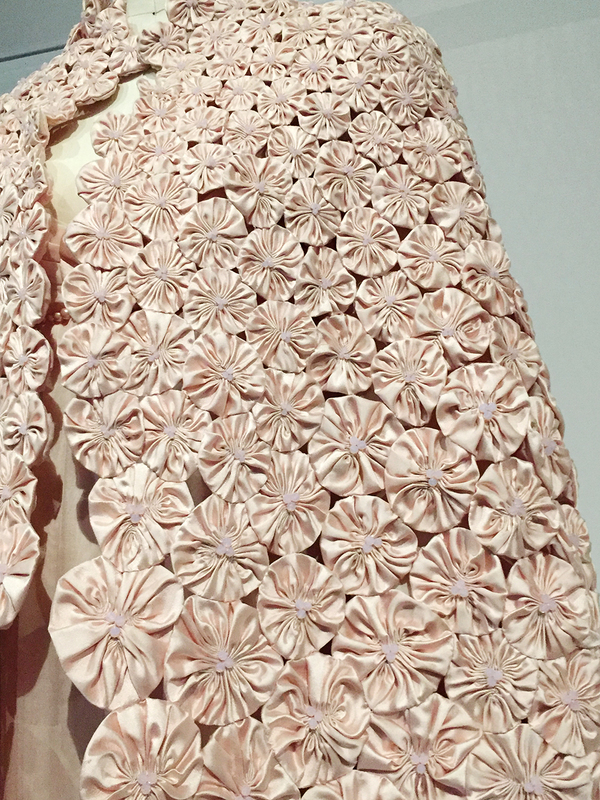 Gorgeous hand-embroidered dress with sequins, clear bugle beads, ivory silk crepe tulle, gold metal thread and hand-cut pink flower petals. 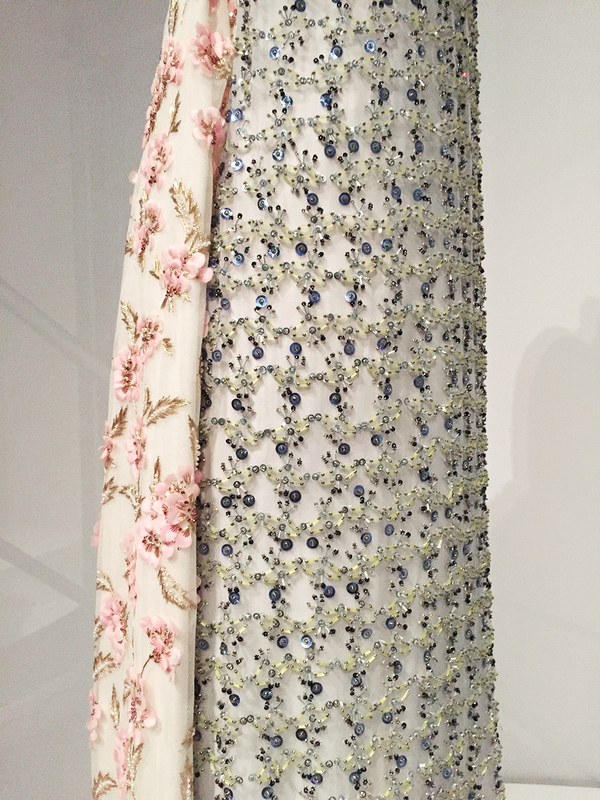 From House of Dior by Raf Simmons in the FW 2012 Haute Couture collection. 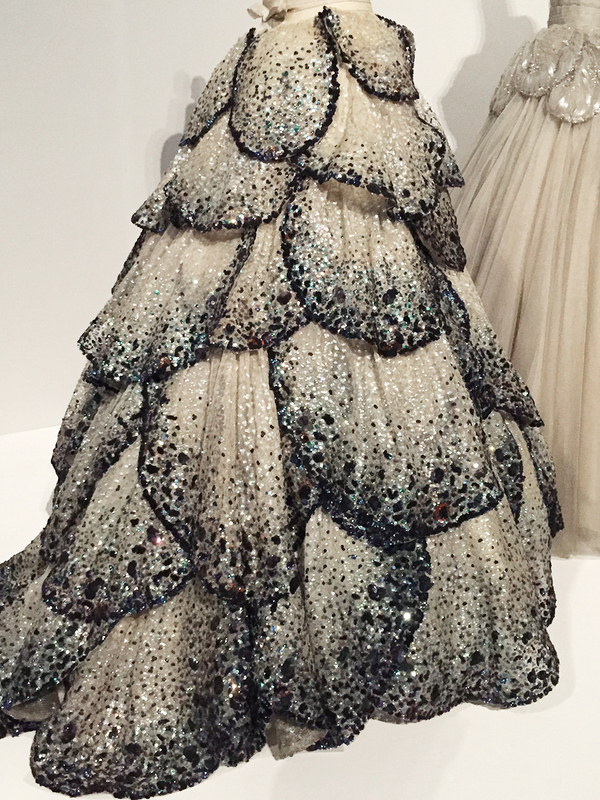 I would totally wear this dress for any party or cocktail event. Another close-up of the handiwork. Each of these flowers take up to 90 minutes to complete. That’s a lot of minutes for a cape. 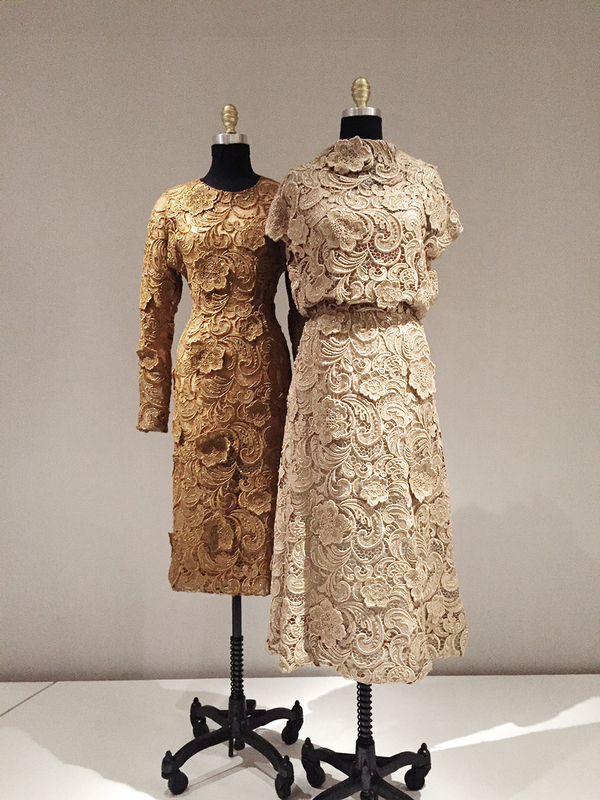 The Vilmiron and May dresses from House of Dior, featured in the SS 1952 haute couture and SS 1953 haute couture collections respectively. 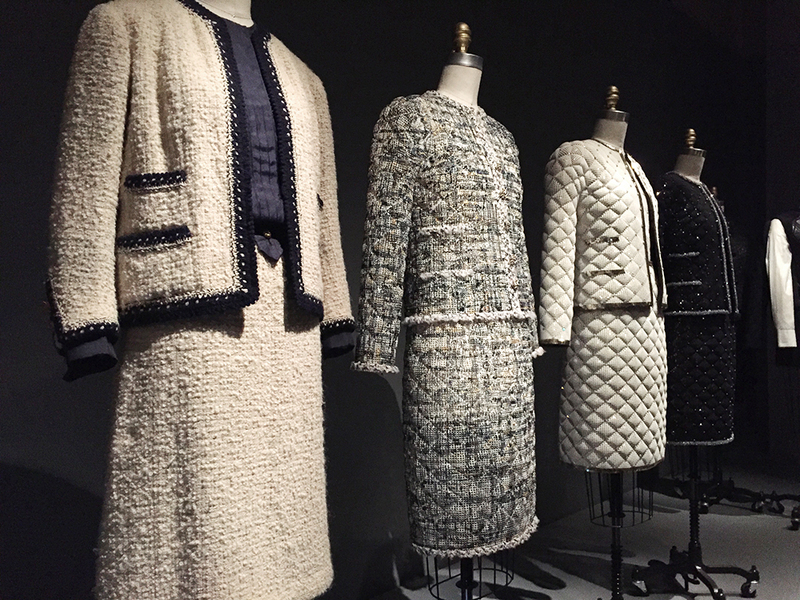 Unmistakably Chanel, from a more recent collection. I love the details in this one. As much as I like this one. 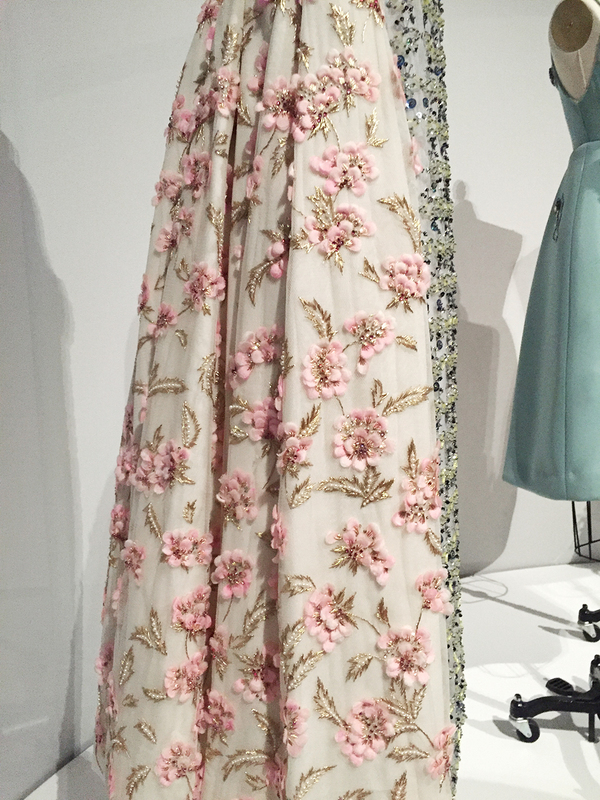 My absolute favourite piece from the entire collection. 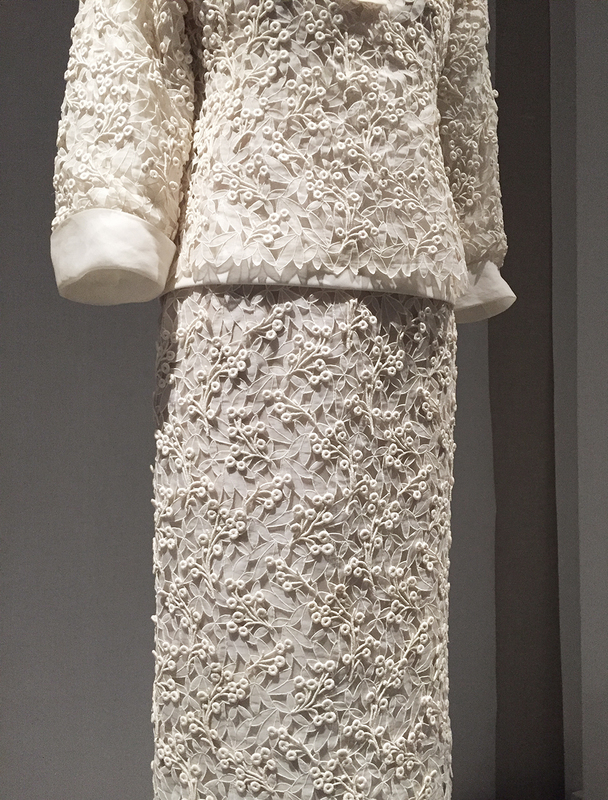 This was the wedding dress from House of Chanel, featured in the FW 2014 haute couture collection. The back of the breathtaking wedding gown. 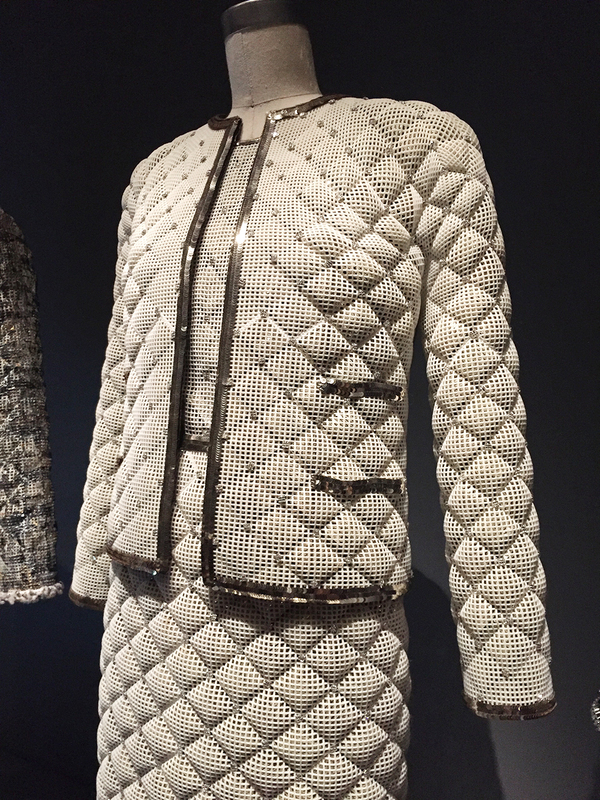 The one that Karl Lagerfeld described as “haute couture without the couture.” The one that sparkles a thousand times in a second and leaves you wanting more. Can you believe the amount of collaboration that went down into this masterpiece? A complete testament to how we can create beauty when we come together with the aim of doing something great. Wow, just wow. Let me now just sit and calm myself down for a bit before we move on. Anyhow, I do have a little gift for you if you’ve made it this far in the blog entry! 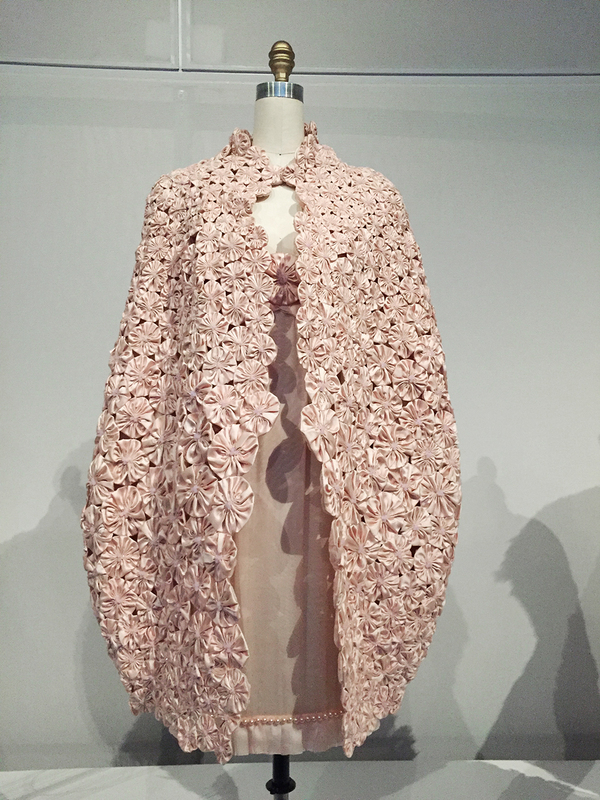 Can you guess the brand that created the following piece? Can you guess which brand made this suit? Just leave a comment at the end of this post and I’ll pick a winner, at the end of November, from the correct answers to win something small from me. 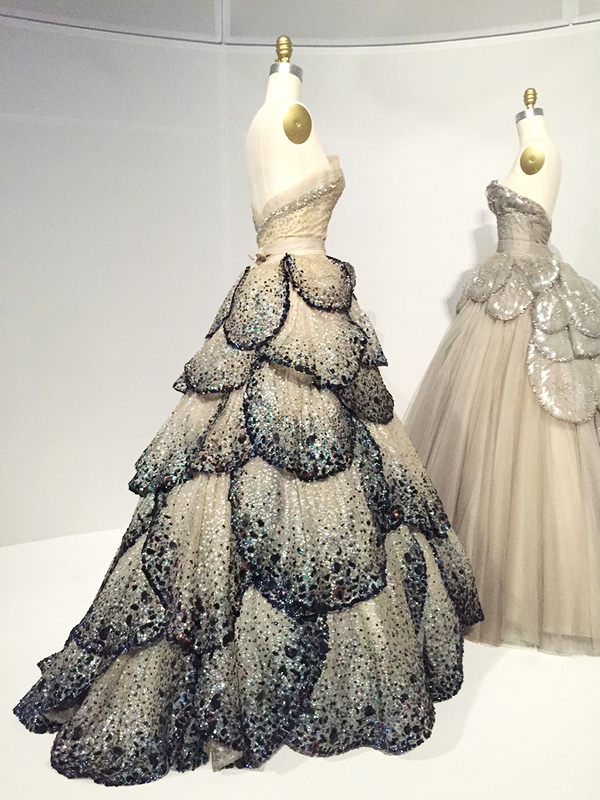 I do hope you enjoyed reading this post and admiring all the beautiful pieces. These were only a very small part of the entire exhibition and I’m so glad they extended the exhibition period till 5th September of this year, so lucky me could visit while I was in New York this August. 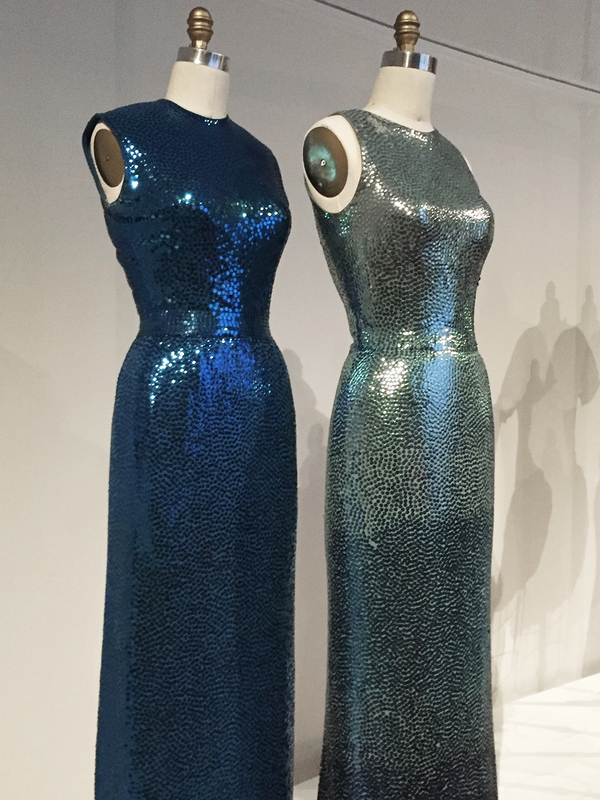 You can check out what people were talking about the exhibition on their various social media feeds here, or check out #ManusXMachina on Twitter – you won’t be disappointed! I’m also including a 2-minute video of the exhibition below, taken by Bret Beyer. OMA Manus x Machina from Archinect on Vimeo. 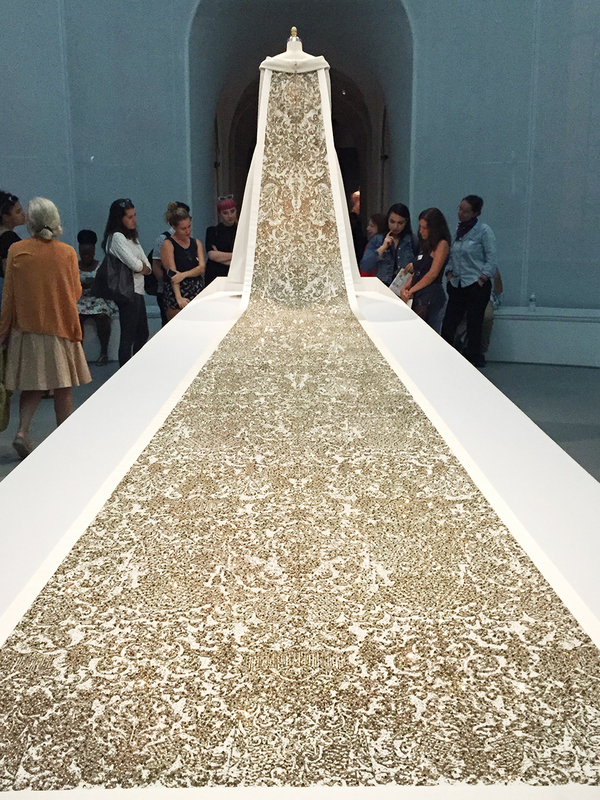 Wednesday Musing: Afterthoughts on the Manus X Machina Exhibition at the Met was last modified: November 2nd, 2016 by Roxanne C.